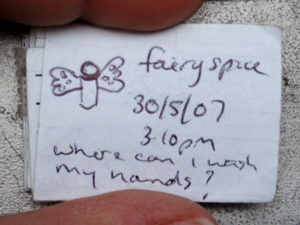 Ten years ago today we found our first geocache at Little Beach on the Central Coast (GCTZ15 – now archived, unfortunately). We were a new couple and geocaching was a great activity to hang out together and have a few adventures along the way. Back when we started it took a bit more preparation and planning before setting out than it does now. We had to sit around the kitchen table of the house we hadn’t moved into yet with the laptop plugged into the dial-up modem and download the cache pages, and then transfer the coordinates onto our GPSr. If you wanted to refer to the cache pages while you were out caching you had to print them out before you left, and manually decode the hint if needed. There were no smartphones, so you couldn’t simply open an app and see if there were any caches nearby. Today, no forward planning is required as everything we need to check for, find, and log nearby caches – internet access, GPS, real-time logging of caches, and cache information – is available on our smartphones. For those cachers who love being the First To Find (FTF), this has meant that they can head straight off to a new cache as soon as they receive the notification email on their phone and log it as soon as they find it in order to claim their glory. This improved technology also means that when we get home there’s no need to try and remember all the details about our caching trip because everything’s already been logged. 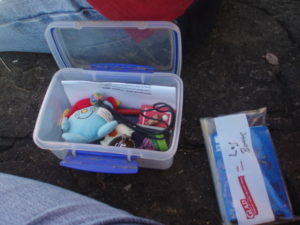 We found our first few caches using an HP ipaq PDA (which looked something like this – it worked OK, but definitely was not designed with caching in mind). We needed to change our geocaching.com account name. We signed up as Fairy Spice (which made sense at the time, for a number of reasons) but after having to introduce ourselves to another cacher in Canberra, we knew this had to be changed. At the time there was no way to change our username; we had to create a new account and re-log all our first few finds. As librarian geocachers, we felt that Sensible Shoes was an appropriate name to use, and since then we’ve been comfortable introducing ourselves as this. 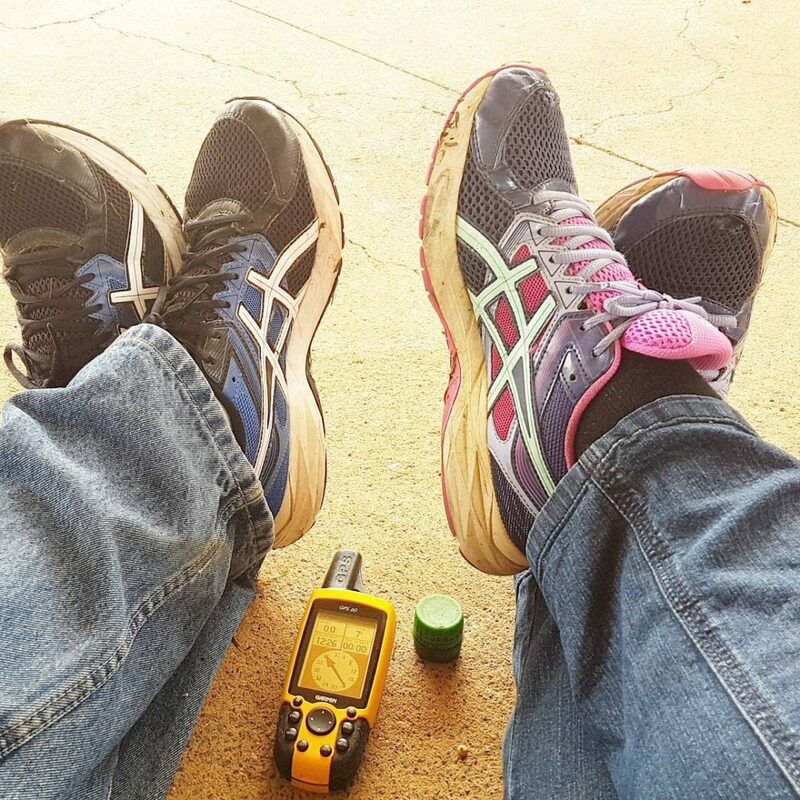 We cache together as Sensible Shoes, and our logs identify each of us as Mr S or Ms S. We ended up purchasing a Garmin GPS 60 in those first few months of caching, and still use that (in conjunction with our smart phones) today. From these humble beginnings, the Shoes family has grown. 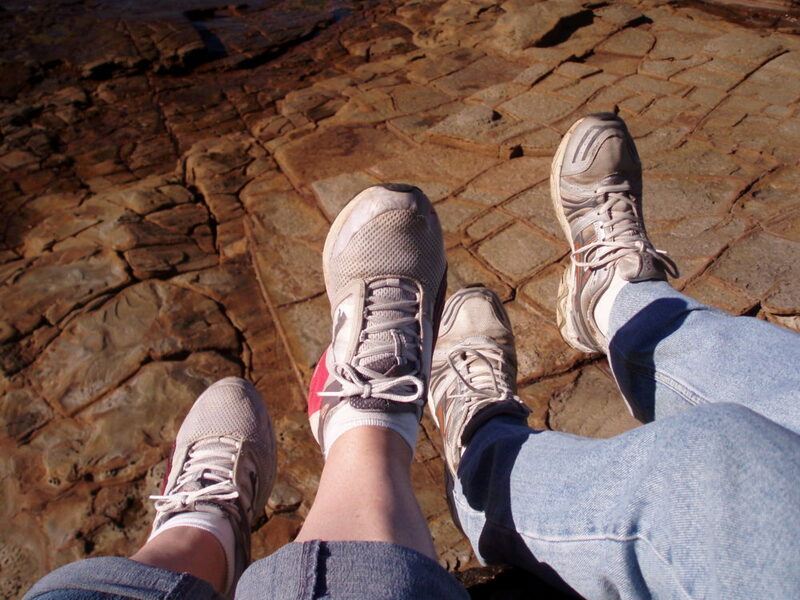 Our sons are known as Shoes Junior and Little Shoes, and both of them had their accounts created and were taken our geocaching about a month after they were born. We also got one of our sisters involved in caching. Eight years later, Sensible Sis is now closing in on 900 finds. We’ve taken a few friends and family members geocaching, and have been successful in recruiting two families from our Mothers’ Group. It’s good to have some local friends who “get it”. However, our biggest success story converting a muggle to an obsessed geocacher is a fellow librarian who heard about caching at a conference presentation given by Mr S. She’s been caching now for 3 years and has over 3,500 finds and 72 hides to her name. As Mr S was presenting at the conference and describing how geocaching can be used as an educational and promotional tool, Ms S was live-tweeting her finding of our cache (GC3K05C) (she hadn’t been involved in the placing of it). The cache involved is a “Mystery or Puzzle” cache, and it has been very positively received by the local geocaching community. Mr S has written a journal article describing how and why the cache was placed. We’ve placed four other caches, however they’ve all been archived for various reasons and are no longer active. We’ve managed to find 504 caches over the last ten years, and 15 of these have been Event caches. Several of these events have been great fun to attend. These include the three Geotreks that we’ve completed, and the three Worldwide Flash Mobs (WWFM) that we’ve flashed at. The WWFM was the brainchild of Sonny and Sandy from the Podcacher podcast, and is still going strong after ten years. Another geocaching podcast we enjoyed listening to was the Geotalk podcast, hosted by Darren Osborne, a.k.a. Spindoc Bob. 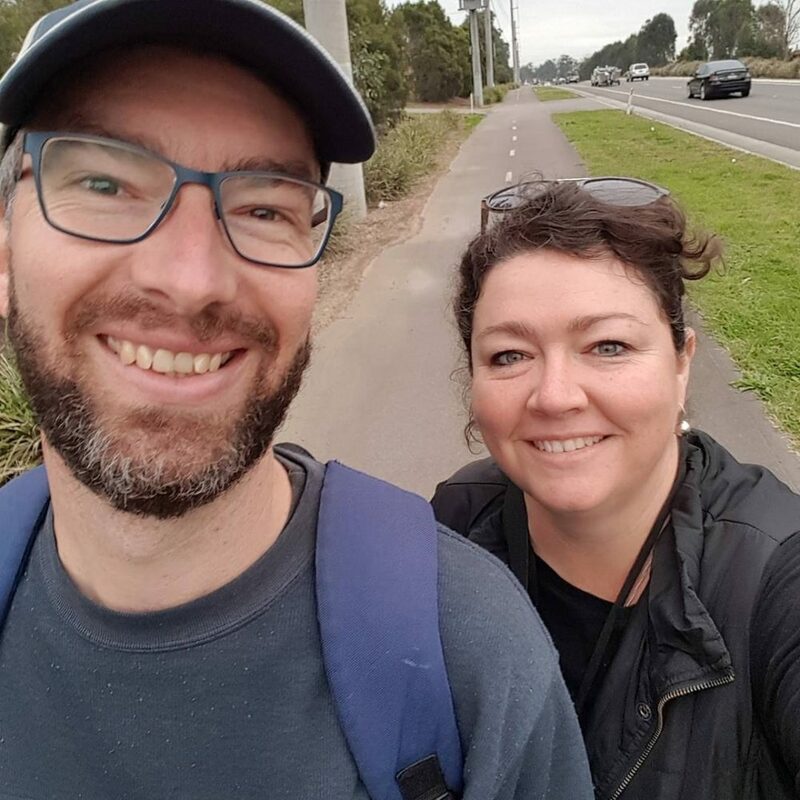 Darren was the driving force behind the formation of the Geocaching NSW association, and we met him and his wife Renee at the initial planning meeting for the group. Darren also organised the first couple of WWFM events in Sydney, which we attended. 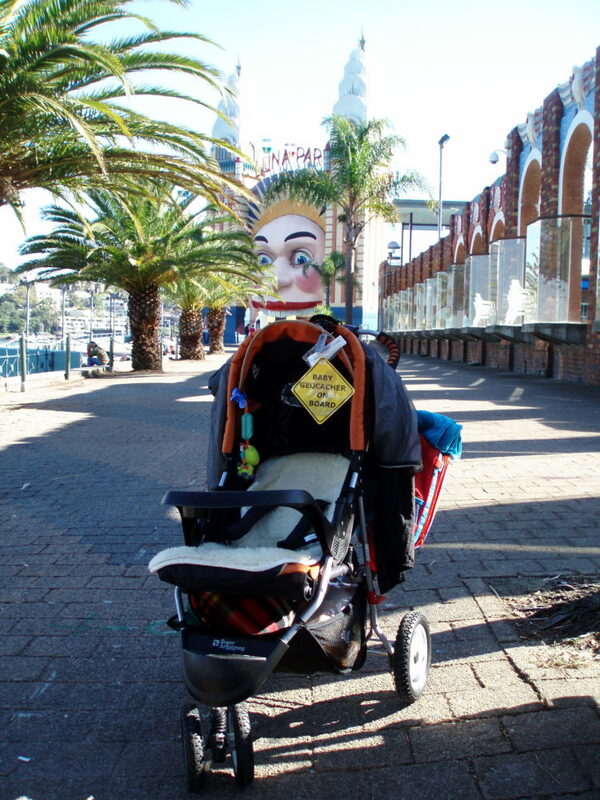 Mr S attended the first Sydney WWFM event alone, because Ms S was resting in hospital prior to the arrival of our first son. 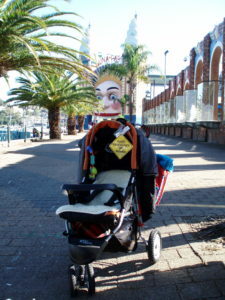 All three of us attended the next WWFM event at Luna Park. Mr S had the opportunity to go on a geocaching day trip with Darren and a couple of other cachers in September 2013. Sadly, Darren passed away from brain cancer in January 2015. Although we didn’t know him very well, his passing was deeply felt by us since we identified so closely with him and his young family. Vale Spindoc Bob. In the same way that we related to the Osbornes, Sonny and Sandy from sunny San Diego have also found a place in our hearts. 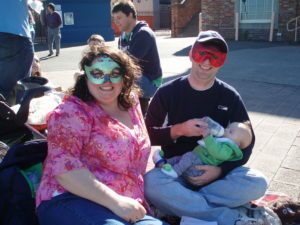 We had been regular listeners to their weekly podcast, Podcacher, when we learned of the arrival of their son Sean while we were pregnant with our first son. Ever since, we have been amused by the similarities between Sean and our 8 year old as they grow up. Mr S has kept up with listening to Podcacher ever since we discovered the podcast almost 10 years ago, and has contributed various news items from time to time. One of these was our most significant geocaching moments from the last ten years. It was the time when Mr S proposed to Ms S at our first FTF. It was nice that he was able to do this at a spot close to our home, and no, we didn’t go on to have a geocaching-themed wedding. Most geocachers, who have been caching consistently for 10 years, would expect to have found far more than the 500 finds we have achieved … but as the saying goes “it’s not about the numbers”. 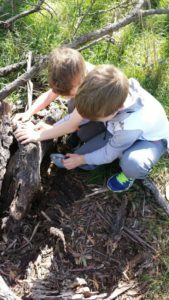 Although geocaching has held our interest steadily for the past decade it has not been a major focus for our family. We enjoy having it as an activity to fall back on when convenient, but we’ve never felt the need to chase the numbers or achieve long running streaks as other have (even though we’ve been impressed by their ability to do so). Likewise, almost all of our finds have been within the 3.5/3.5 difficulty/terrain matrix, with only a very few outliers. We prefer to be challenged by tricky puzzles rather than extreme terrain. 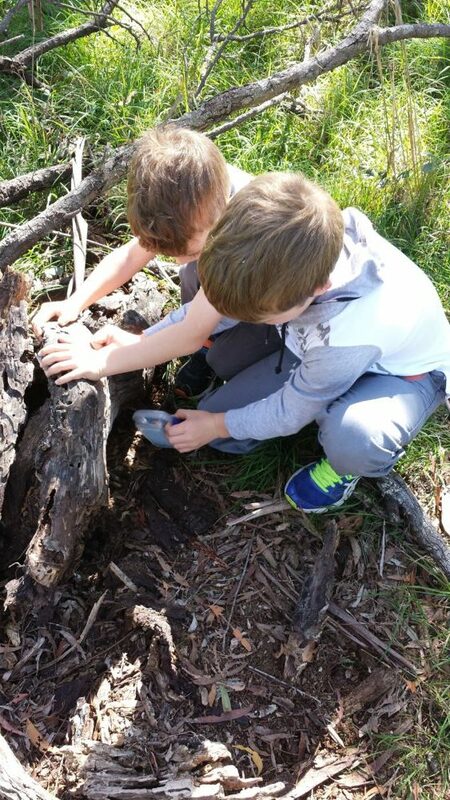 Now that the kids are older, and technology has made geocaching more convenient than ever before, we expect to enjoy many years of geocaching adventures ahead. As Sonny and Sandy would say, “Keeep onn cachin’!”. Tagged Geocaching, Sensible Shoes. Bookmark the permalink.